Ole Gunnar Solskjaer felt Manchester United were too slow against Burnley and that you need to start more positively to find an advantage in these games against relegation battling sides. 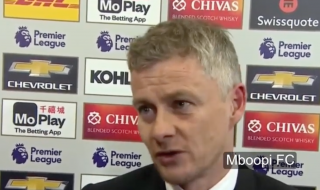 The caretaker manager does not believe United deserved to lose the game, warranting at least a point, and believes if there was another two or three minutes we would have took all three points. United created enough chances in the game to win but were not clinical enough in front of goal. That sees the end of Solskjaer’s perfect start as United boss, although he remains unbeaten. A result of this nature was coming yet Solskjaer is the only manager in Premier League history to go seven games at a club in the league without a defeat. Solskjaer also said Mike Phelan and himself learned something new about the players today given how they reacted to going 2-0 down versus the Clarets. With Arsenal winning tonight, United lost a bit of ground in the race for top four but there’s a lot of football to be played. It’s not as if the Gunners or Chelsea are winning consistently at the moment.